Konami today confirmed the addition of eight new Other European Teams for the PES 2015 Day One DLC, set to be released together with the game next week (Americas: November 11; Europe: November 13). The PES 2015 Day One DLC will also include more Brazilian teams player licences, latest transfers and lineups. Additionally to the Day One DLC, PES 2015 will receive weekly updates starting November 20. These are the eight European teams to be added in the PES 2015 Day One DLC. 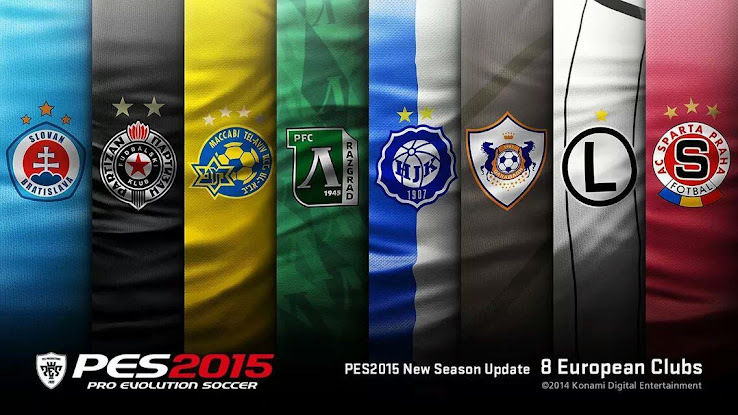 The list of 8 new PES 2015 teams includes some first-ever PES appearances for the likes of Slovan Bratislava or Qarabağ Agdam.